Searching for a MID rate server. Post subject: Re: Searching for a MID rate server. --Touch of life and Restore life are party-only so that players don't heal raids. -Max Transfer Pain distance is 1500 to prevent players from hiding their summons and going across the map. -Limited to A-Grade only with server safe enchants max. -Non-class based to prevent class-based botting. -Must do the full noblesse quest. -No clan kick/leave penalties, players can leave and join clans without having to wait x amount of time. -Castle sieges are every weekend. Server will start with two sieges and open more castles as the population grows. -NPC Buffers in giran have almost the same buffs as AIOs do (all the buffs available in the game). -Buffs from AIOs and NPCs last 3 hours. Normal player buffs are retail. -NPCs in giran for all your item/consumable/weapon/armor needs. -Dual Special Ability weapons drops from bosses and also added in shop. -Promisance Armor drops from bosses and custom craft. -Epic armors can be bought in shops. 4) Quests fully working (even the ones most servers think no one will use - ex. an ice merchants dream) and preferably with some increased rates. I saw a few of your posts on a few different forums about a particular server I will not mention. You seemed so angry it was rather intriguing to see such passion in a player. We're a very interesting project launching in September. Great community and great friendships to be made. Feel free to drop by our forums if you are a little more interested and read through our site as well. No custom items. Retail like. Join now our premium long running High Five server and be a part of the legend. Naya Coin is tradable and it's not "pay2win" because Naya Coin Shop is progressive, so there wont be any character (donator) Over Power. Naya Coin shops will be progressive opened in later game. Why dont you explain what exactly you mean? I dont get what you mean by progressive system or whatever. The most important thing: there is no custom item, enchant, attribute or w/e for Naya Coin or Festiva Adena. 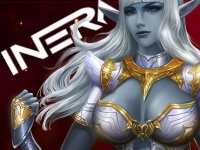 And, as the game goes on and people are growing up (have cool Items - Vesper, Vorpal), We will open Naya Coin Shop for Armors/Weapons. There wont be players with Vesper sets at the beginning while people are struggling with A/S gear. In other words, Naya Coins are for lazy people who dont farm too much, but they cant be stronger than the others. For Beta we opened only Moirai in Naya Coin Shop. I hope I'll see You ingame. Rates are pretty rough for a Mid Rate, Features are Cool. Sadly, I dont have time for L2 nowadays so you wont definitely see me soon, but except for the donation shop it seems decent. Hello everybody! Our Beta server is up and running. We will be running like this the whole week, and the go live is scheduled for 22nd July, at 18:00 UTC. New Linage 2 Interlude x75 PvP Server! Custom Areas, NPCs, reworked Items and much more! Check the website l2abstract.eu/ for more. See you there! One day left before going live! The testers and the developers have been working around the clock to deliver the best gaming experience. Make sure that you have our patch installed and that you can connect and see you tomorrow at 18:00 UTC.